Sears has long been was a trusted department store that people will would go to for their clothing, tools, bedding, furniture, appliances…I think you get the idea. You can could go into Sears and get just about anything you need, including car services like oil changes, battery replacement, new tires, etc. Thanks to the behemoth that is Amazon, all Sears stores are going out of business. Every store under the Sears and Kmart flag will be liquidating their stores. If you’re a fan of getting a Sears oil change, your time may be running up. While they are closing up shop, many of the Sears Auto Centers are remaining open to pull in some money for the dying business by doing different car services. If you’re one of the lucky people that still has a Sears open in your neighborhood, you can still get an oil change, brakes, or tires until the supplies run out. As for Sears Oil Change coupons, they are still in effect for the time being. We’ll still share them here for you until the last day of the company. Sears always offered some great deals on their products through coupons and plain old competitive pricing. Sears will have coupons and prices available right on their websites. 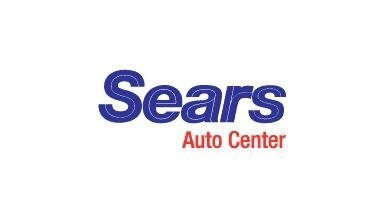 The employees and mechanics at Sears auto centers are extremely knowledgeable and well trained to help you with your purchases. The mechanics can even spot serious problems with your car that may need fixing while they are doing something simple like performing an oil change. Sears carries all of the major tire brands in their stores and offer tire coupons to bring the prices down and will do the tire installations for you on the spot. They carry brands such as Goodyear, Diehard, BF Goodrich, Michelin, Bridgestone, and Dunlop. I can’t speak for the company, but I assume when the stocks run out, they won’t be replenishing them while going out of business. They also provide all types of oil changes, with coupons too! These usually cover conventional oil changes, high mileage and synthetic. They use quality motor oil products like Valvoline. 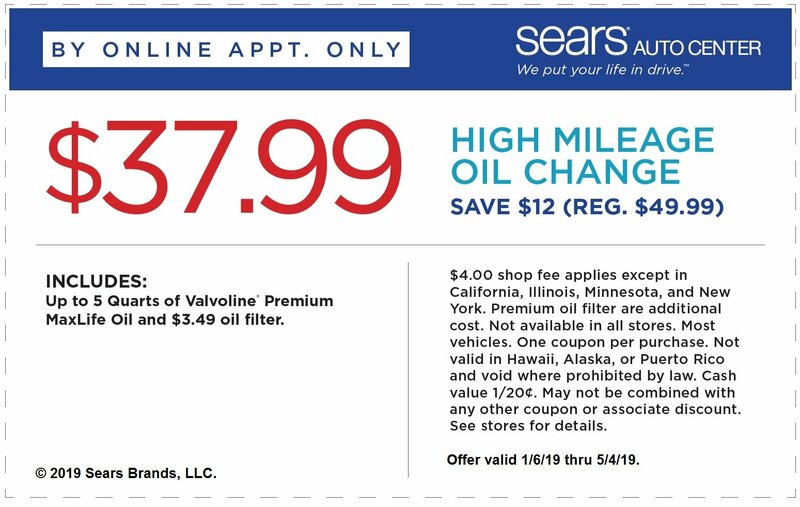 Getting an oil change or tire rotation at Sears is a lot like getting a one done in Walmart, in that you have one of the most convenient options at these stores. If you need to do some gift shopping, get new clothes, or just enjoy window shopping you can drop off your car before doing these things. One thing that helps out with Sears is that they are one of the few companies that list their prices on their website. As of the time of this writing you can get an oil change (without a coupon) excluding an oil filter, for $26.50. You can even pay online and schedule your appointment. 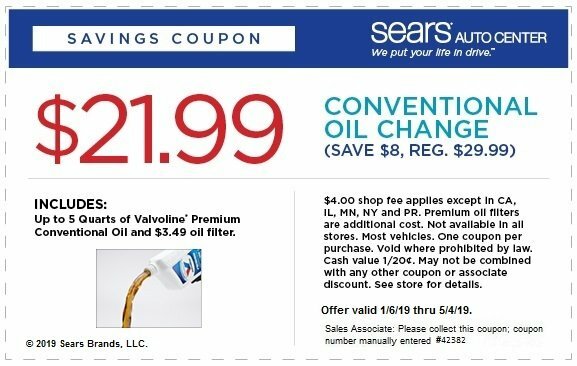 We find a lot of deals using Sears oil change coupons every month that we share with our readers. Since they do so many different kinds of other auto services like brakes, tires, and engine flushes, they provide lots of discounts for customers. The most current deals that we find will be available via links at the top of the page. The Sears name is actually short for Sears Roebuck and Co. Sears used to be one of the largest department store powerhouses, but income and stock prices started to dwindle. They were bought out by Kmart in 2005, creating the Sears Holding Company. In 2018 they announced that they will be going out of business and liquidating all of their stores. The company started because Richard Warren Sears was a man who seriously hustled for his money. He received a set of watches at a train station in North Redwood, Minnesota while a railroad station agent. The watches were unwanted by a local jeweler so Sears tried to sell them to the other railroad agents. He marked them up and sold them for an incredible profit. Soon he began selling watches more often and eventually created a mail order catalog devoted to watches. In 1893 he moved to Chicago and met Alvah C. Roebuck, a watchmaker. The two then started the Sears Roebuck Company. Save $8 off of the regular price of $29.99 for an oil change. This deal gets you up to 5 quarts of conventional motor oil and a $3.49 oil filter installed. This coupon expires May 4, 2019 or until your Sears location closes for good. Upgrade your oil change to a fully synthetic one and save $17. 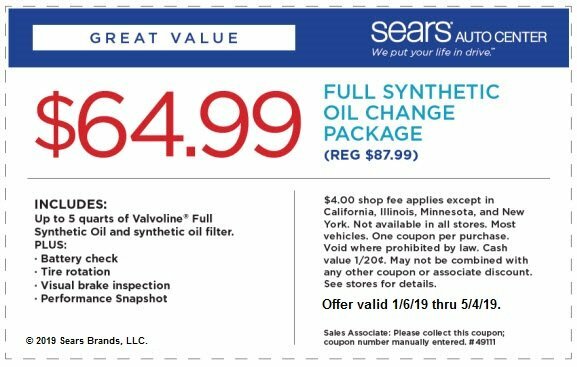 The usual synthetic oil change price at Sears Auto is $69.99 so this is a pretty good deal for those high end cars or high mile vehicles. Speaking of high mileage cars, how about a printable coupon for a high mileage oil change? If you have an older car or one that you’ve just packed miles onto, this is a good deal for you. Usually $49.99 so this is a $12 discount. I already mentioned the synthetic oil change coupon above, but this discount is for a bigger package. The battery check and “performance snapshot” aren’t really anything special, but this gets you a discount on a tire rotation which you should get at least every other oil change. Please send add me to your emailing list for coupon. You can sign up at my sister website, SoManyDiscounts.com coupon email list. Please send a sears oil change coupon for July 15th to July 30th. I have not received in the mail.